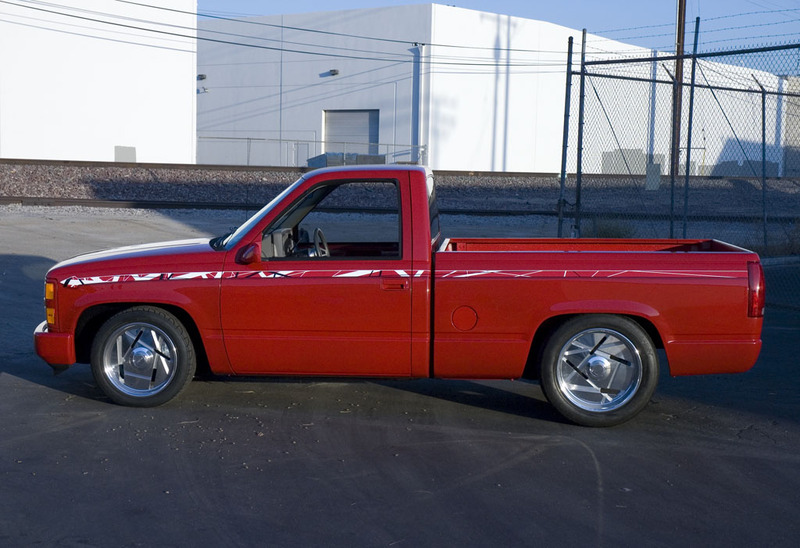 When the new 1988 Chevy C/K truck came onto the market, it marked the beginning of the sport truck boom. 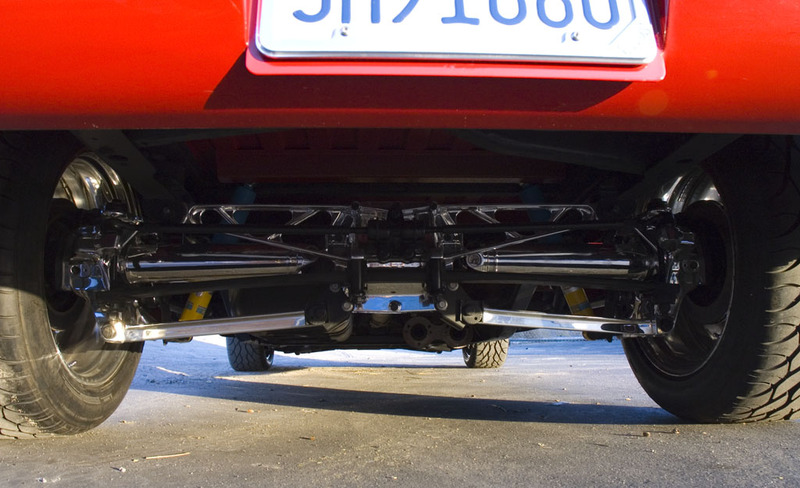 Given some simple body modifications and suspension adjustment, the truck became a modern hot rod. Around the same time, Boyd Coddington has been building hot rods for rock stars, including Billy Gibbons of ZZ Top and Michael Anthony of Van Halen. 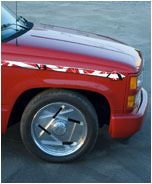 In 1993, Eddie Van Halen asked Boyd to turn his truck into something wild. The result was the Boyd Hauler. The truck features numerous go-fast parts pulled from the Corvette, including the LT-1 engine and independent rear suspension. 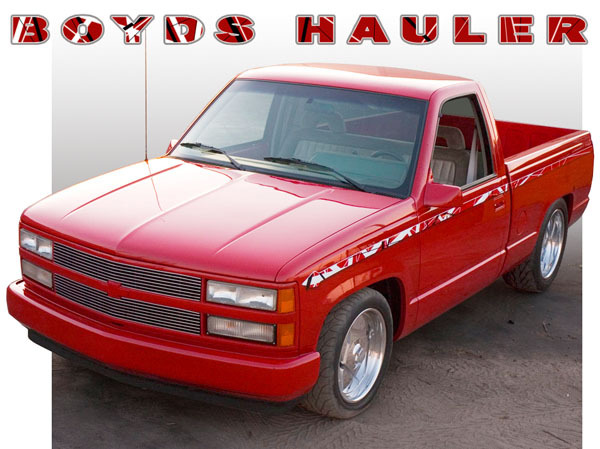 Boyd gave the truck his signature clean look with monochromatic paint, a smooth front bumper and rear roll pan. A billet grille was installed and a set of low-profile mirrors was bolted in place of the stock units. 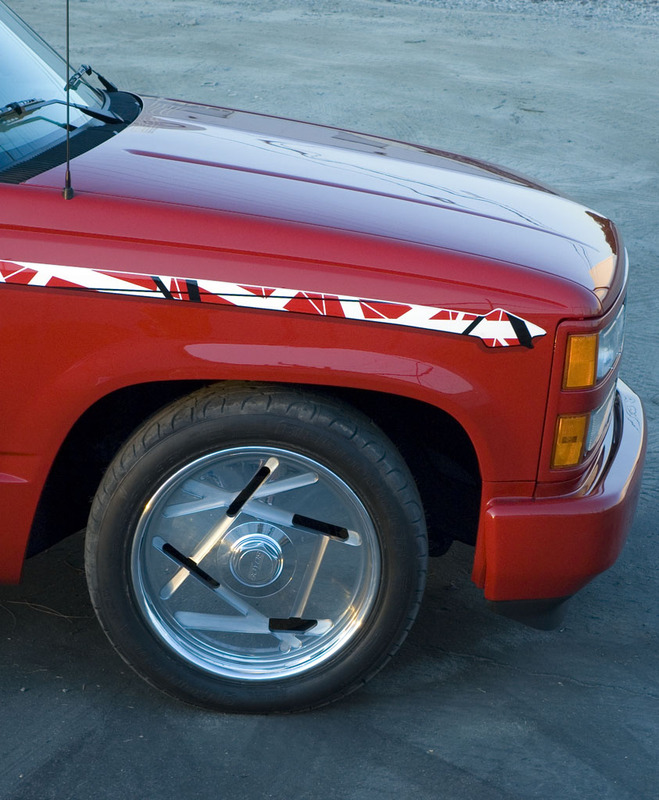 To make the truck unique, it was given a bright red paint job with signature "Frankenstein" guitar-inspired stripe. The front of the stripe matches Eddie's guitar headstock design. 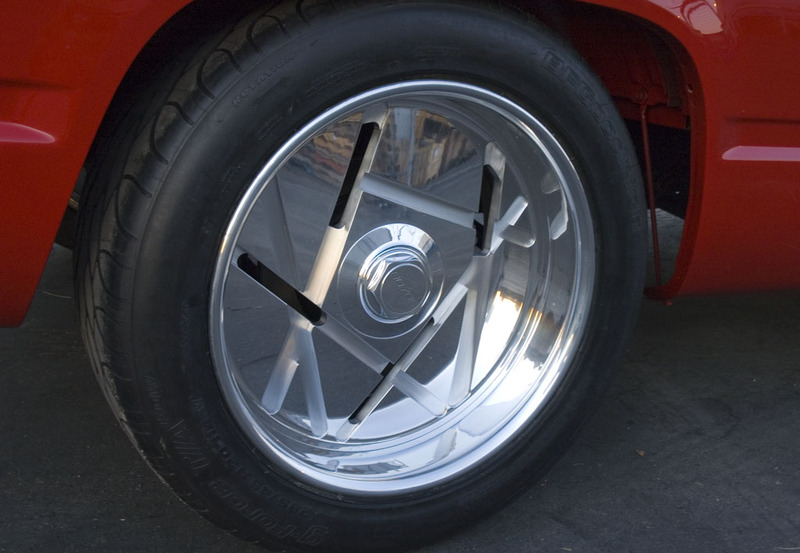 A set of 16-inch billet aluminum wheels were carved to match the truck, measuring a whopping 11-inches wide at the rear, and wearing Corvette-size 315-width BF Goodrich rubber. 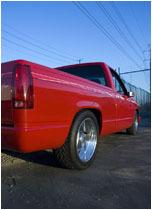 The truck was a huge success, appearing in magazines and drawing immediate recognition wherever it went. 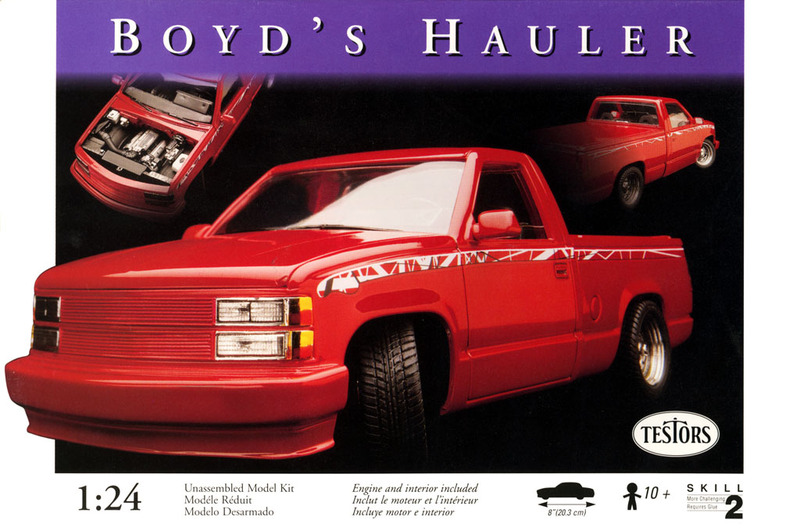 It was even immortalized by a Testors model kit, Boyd's Hauler, released in 1998. True to the original, the model truck has all the upgrades including the custom wheels and matching decals. Over the years, the real truck has been occasionally used and sometimes abused. In recent years it was mostly neglected, ultimately left sitting outside. The paint was faded; the once-pristine bed was filled with an accumulation of dirt and junk. 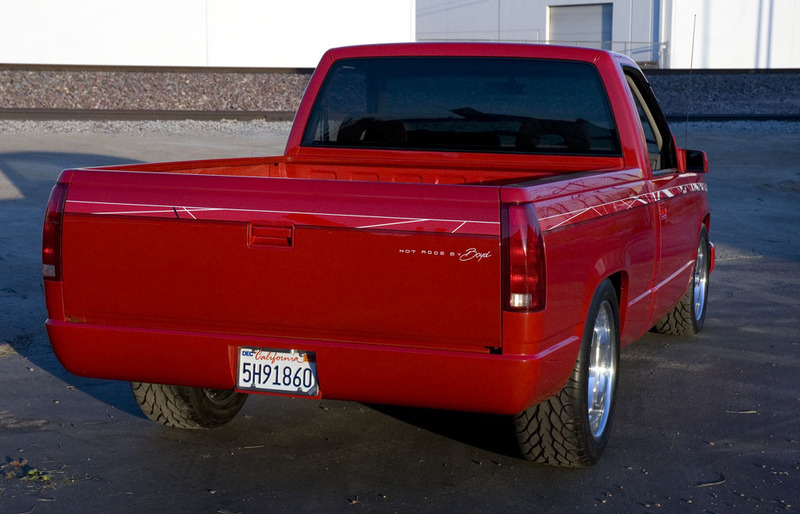 That was the state the truck was in when it arrived at American Hot Rods in Anaheim, CA. Dwayne Mayer and Bernt Karlson, who recently opened the new shop, were entrusted with the task of restoring the Hauler. Dwayne and Brent gave the truck a fresh paint job, recreating the original graphics and updating the wheels with new 18-inch front and 20-inch rear wheels wearing modern BF Goodrich tires. The truck is scheduled to receive a new exhaust system and a complete stereo overhaul. When the work is complete, the truck will be auctioned at Barret-Jackson in Scottsdale in January, 2010.